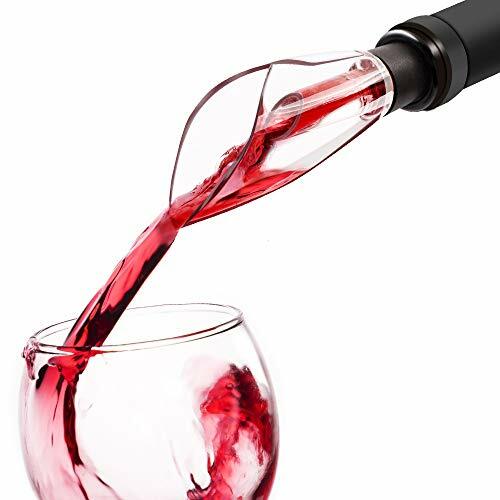 The EZBASICS Wine Aerator Pourer enhances the taste of your wine. Contents: Wine Aerator Pourer How to work & clean: Insert the wine aerator and pourer into the bottle neck and pour your wine out. Clean it with running warm water. Attention: Never cover the hole in the stainless steel ring to guarantee pouring and aerating.